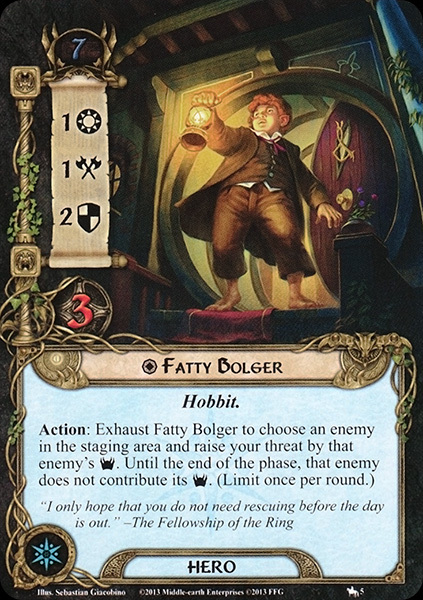 Fredegar 'Fatty' Bolger was a Hobbit of the Shire. He was one of the close friends of Frodo who knew that he had the Ring and helped him with his mission to leave the Shire. Frodo eventually came to his house, along with Sam and Pippin. It was there when the conspirators revealed themselves to Frodo, and expressed their will to follow him in his mission. 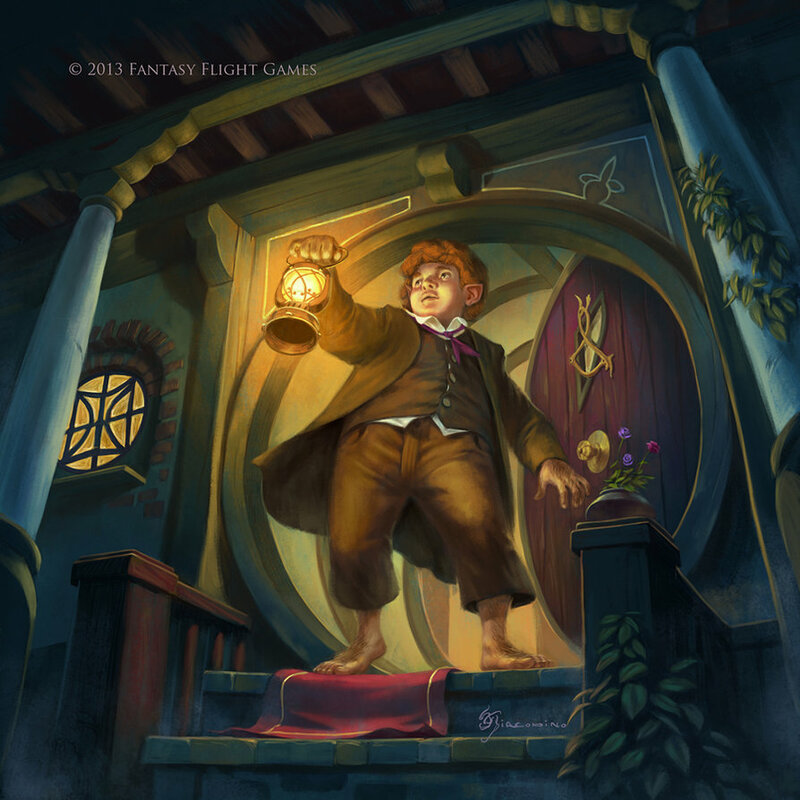 Fatty however was a typical hobbit who had never left the Shire and was unwilling to do so, but would play his role; he stayed behind to keep up the pretense that Frodo was there, by wearing his clothes and keep the house occupied, and deal with any 'inquisitive folk'. During Saruman's rule of the Shire, Fatty led a group of partisans fighting against the Ruffians in the Brockenbores around the hills of Scary before eventually being captured. He was imprisoned in the Lockholes and starved, (and could no longer be called 'Fatty') but was rescued after the victory of the Battle of Bywater. The name contains ferdi 'peace' and gar 'spear'.